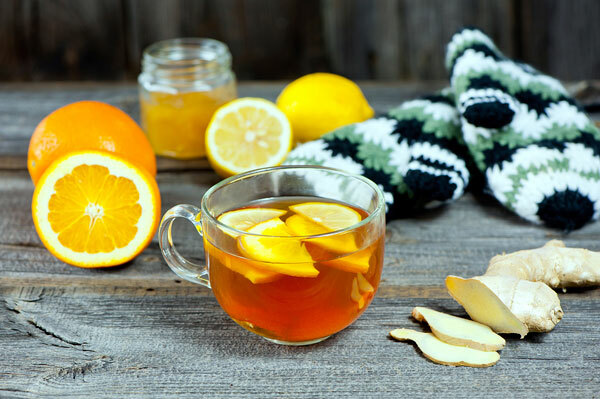 Boost your immunity with these natural ways to beat colds and flu this winter. Don’t wait until you’re floored by the flu. What’s best? A mix of the classic, the new, and the surprising! Which essential oil is good for a cold? A great essential oil can handle just about anything – and fighting colds and flu is on the list! They can be used in the bath, as an inhalation, a room fragrance, for massage, and even to wipe down surfaces to minimise germs. Prone to colds and flu? Add 2 drops of tea tree, 2 drops of bergamot and 2 drops of back-pepper essential oils (these are antimicrobial, antiviral, antibacterial, and great immune boosters) to 1 tablespoon of carrier oil. In the bath Swish it through the water, lie back and breathe in as you relax. As a steam Add to a basin of hot water, lean over and breathe in. Get chesty in winter? An essential-oil tonic can help support that weak area. Add five drops each of myrtle and cedarwood essential oils to 20ml of carrier oil. Massage over your chest and back, covering the whole lung area. Make your own de-stressing aromatherapy blend next time you’re feeling tense and under the weather. They’re the hip new immunity must-take. So, what can they do for us? Medicinal mushroom, in powder or tincture forms, can be added to your smoothies or made into nutty teas, which can be enjoyed up to three times a day. The chaga variety is a potent antioxidant source, while reishi helps reduce stress. Try SuperFoods Wildcrafted Chaga, R188; or go for African Forest Medicinals Wild Red Reishi Tincture, R197, both available from Faithful To Nature. Try them in soup too. 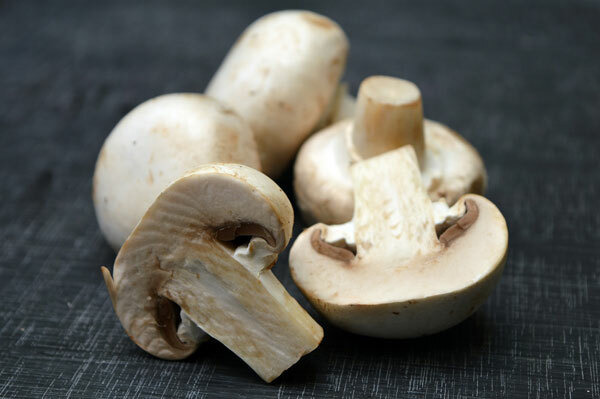 “High in antioxidant selenium, mushrooms are brilliant for keeping flu away,” says nutritionist Julie Montagu. “If you’re low in selenium, it may increase your chances of developing a more severe flu.” Julie’s mushroom of choice is the portabellini, but any will do. Pour 2 x 400ml cans coconut milk into pan with 1tbsp dried coriander; 6 lemongrass stalks; 1 large onion, thinly sliced; 3 garlic cloves, crushed; 1tbsp shredded kieffir lime leaves; and 50g coconut palm sugar. Stir until combined, bring to simmer. Strain through sieve into separate pan. Discard what’s in sieve. To the new pan, add one handful sliced portabellinis; juice 1 lemon and 2 limes; 3tbsp tamari; 100g pak choi, chopped; 50g thin rice noodles; and 240ml veg stock. Simmer for 4 minutes. Serve with coriander leaves and sliced red chili, to garnish. Can bee pollen boost immunity? How do you use bee pollen? Really easy – a teaspoon a day is all it takes. “I just sprinkle it on yoghurt or muesli,” says Emma. “If I’m busy, I have a spoonful of pollen mixed with organic honey – it’s delicious.” Try Honeyguide Raw Bee Pollen, R135, from Green Goodies Co.
Not taking olive leaf yet? You may be missing the latest health trick. With terrific immunity cred, it punches well above its weight! How do you use olive leaf extract? Try olive-leaf extract in capsule form. 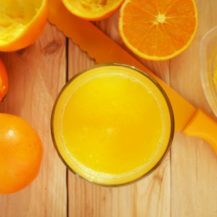 Featuring compounds that fight free radicals, and with 400% more antioxidants than the equivalent amount of vitamin C, it’s a bit of a no-brainer. Try Solal Olive Leaf Extract, R165,95, available from Dis-Chem. 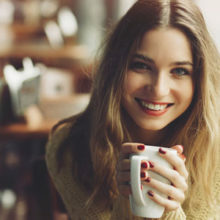 With double the antioxidants of green tea, it’s worth making the switch to olive tea this winter. Use a pinch of dried leaves, add boiling water, and leave it to steep for five minutes. Of all the spices with well-being clout, ginger is our pick. Containing 12 antioxidants more potent than vitamin E, and powerful anti-inflammatory compounds, as well as being antibacterial and antimicrobial, it’s an all-round cold and flu beater! 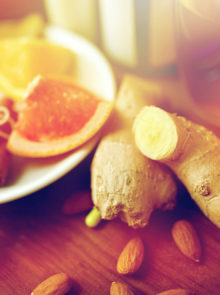 Naturopath Sara Southgate has a healthy and soothing DIY ginger and lemon tea recipe that she rates highly. It’s a tonic to build up and strengthen your immunity, and also has a lovely warming effect. “Just what you need to be well this winter!” she says. You can also whip up this delicious prawn and ginger stir fry for dinner. Squeeze the juice of two lemons into the pot, and then throw in the skins, too – you don’t want to miss out on the antioxidants in the skin and pith. Next, add a thumb-size piece of root ginger, finely grated. Infuse the mixture with boiling water, with the lid on, for 15 minutes. Sarah recommends always covering the pot, as it will keep all of the active ingredients in the infusion, rather than evaporating off it. Add honey – a natural antibiotic – to taste, and drink twice a day.